Everyone grab your chips, veggies and favorite Wholly Guacamole® products, because National Guacamole Day is finally here! In celebration, the makers of the Wholly Guacamole® brand are giving away guacamole for a year via a Twitter contest where fans will show how they rock the guac. The makers of Wholly Guacamole® products want to see how avocado lovers across the United States are eating guacamole. On Monday, Sept. 16, from 8 a.m. to 8 p.m. CDT on Twitter and Facebook, the makers of Wholly Guacamole® products will be giving away prizes every hour to fans, including a year of Wholly Guacamole® products. Fans will also be eligible to win prizes when they use the hashtag #RockTheGuac. To scoop up savings, visit the brand’s Facebook page to print a coupon for $1.00 off any Wholly Guacamole®product (while supplies last). While most people enjoy guacamole as a dip with their favorite chip, the Wholly Guacamole® brand annual survey shows that more consumers are thinking about guacamole beyond the chip. 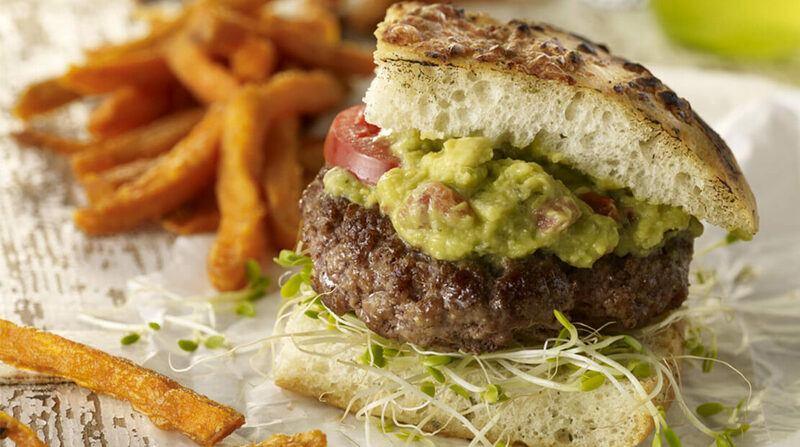 This year, 46 percent of consumers reported eating guacamole as a dip with veggies, 42 percent said they eat guacamole as a spread with sandwiches, 32 percent use it on a salad and 31 percent said they use guacamole on their hamburgers. To celebrate in your own kitchen, try creating your own guacamole-inspired recipe or you can reference theWholly Guacamole® website for some fun suggestions. Check out the brand’s newest items, including the peel & serve trays and 100-calorie mini portable cups. Wholly Guacamole® products are available nationwide in refrigerated fresh produce or deli sections. In partnership with W5, the makers of Wholly Guacamole® products fielded a quantitative online survey between Feb. 12-24, 2013. The resulting sample was made up of 1,214 refrigerated dip consumers, between 25 and 50 years old. Wholly Guacamole® is a brand of Fresherized Foods, the largest manufacturer of prepared, fresh guacamole for both retail and food service in the country. A global leader in food safety, quality and innovation, Fresherized Foods was the first to introduce and use High Pressure Processing (HPP) of avocados— or Fresherized™ technology—to create their line of Wholly™ products. For more information, visit www.eatwholly.com.